Tri-Cities Gastroenterology Providers Jeffrey P. Fenyves, M.D. Dr. Jeffrey Fenyves welcomes patients to Tri-Cities Gastroenterology, where he specializes in adult and pediatric gastrointestinal and liver diseases. 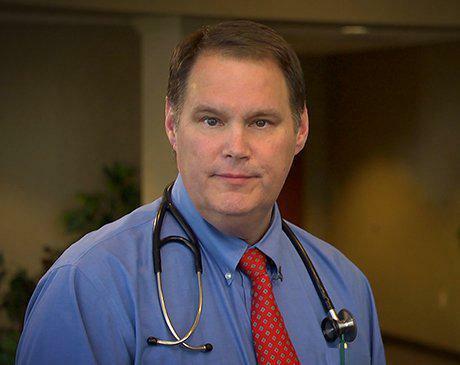 He provides the full scope of care for patients in the areas of Kingsport, Johnson City, and Elizabethton, Tennessee, treating a range of diseases such as hemorrhoids, acid reflux, inflammatory bowel disease, and hepatitis C. He also performs procedures such as colonoscopies and endoscopies. While his patients rely on his vast experience and technical expertise, they value the time he spends listening to their concerns and his natural ability to connect with everyone, from children to older adults. Dr. Fenyves received his undergraduate degree from the University of North Carolina, Chapel Hill, then went on to receive his medical degree from the Wake Forest School of Medicine in Winston-Salem. He completed his residency and fellowship training at West Virginia University and the Children’s Hospital of Pittsburgh of UPMC. He's also board-certified in gastroenterology. He enjoys the Tri-Cities region, where he has proudly practiced and served patients since 1991.